Products, commodities, raw and finished goods have to get from one place to another whether by highway, the river or sometimes train. 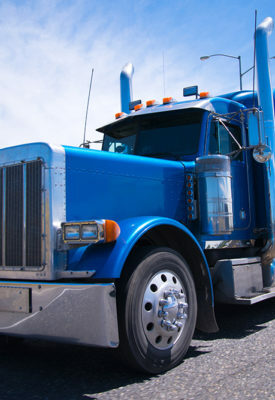 Across the Delta trucking companies and other transportation providers are feeling the challenge of finding qualified and capable drivers, finding their way through a mishmash of crumbling roads and bridges and sifting through the regulations that state and federal governments place on them. Hal Miller, president of the Mississippi Trucking Association in Jackson, oversees the industry. As an affiliate of the American Trucking Associations, the MTA has been helping truckers and trucking companies for the past 75 years. The non-profit corporation has more than 300 member firms including for-hire and private truck operators along with allied industry members. Miller explained several challenges the industry is facing. The MTA and other organizations and industries have challenged the Mississippi legislature to step up and find a solution to funding and fixing the states roads and bridges, according to Miller. The second issue Miller brought up is the truck driver shortage. Across the country there are more drivers retiring than are coming in. That number is only going to grow according to Miller. “By the year 2022, we may be as much as a quarter million drivers short. Again, that translates into 250,000 loads sitting on a dock on any given day that can’t get somewhere—in a dock, in a field or in a port. That’s a pretty significant economic throttle in a negative way,” he said. The MTA and other organizations are looking for ways to solve the driver shortage. “The average age of a truck driver today is 52 but the average age of the workforce is 42. That translates into younger folks not entering our industry as fast as the older ones retire,” he said. “And 47 percent of the workforce is female but only six percent of drivers is female. Another issue with infrastructure problems is that bad roads and bridges causes congestion of roadways. But congestion is congestion and clients need their products delivered to locations both large and small. “At the end of the day you still have to go through Atlanta, you still have to go through different cities like that. In some cases, you can schedule where you can avoid some of it but the reality is when your customer has certain demands of when they need it you have to schedule to meet their demands. As far as dealing with congestion there’s just not a whole lot as an industry we can do,” Miller said. The Delta has had problems with bridges on Highway 6 where weight limits were posted but those have been dealt with according to Miller. Regulations also slow down drivers even with the new administration working to cut out or reduce industry regulations. Across the Delta, trucking and river boat companies have their own challenges. At T&L Freight in Cleveland, operations manager, Brian McCune has a hard time finding suitable drivers to keep in the company’s truck cabs. The cross-country trucking company has been in business for more than a decade and relies mainly on “word of mouth” to find qualified drivers. He also finds it a challenge in keeping up with constant DOT regulations as well. At DEH Trucking, operations manager, T.A. Jennings and his drivers work to haul medical and automotive supplies around the country as well as Delta State University Statesmen football equipment to away games. The challenge Jennings focused on is the driver shortage. With 53 vehicles, DEH has nearly 80 employees that traverse the eastern United States and the mid-west since 1997. DEH’s main location is in Cleveland but has offices in Madison and Mountain Home, Arkansas. Jennings also explained that the digital age and technology has put a burden on the aging driver industry. “We are having to go to electronic driving logs. They are mandated industry wide. And the new technology with the trucks paired with the aging drivers is another issue. The workforce is getting older and everything is based around technology now. Some of the drivers are concerned about that,” Jennings said. That leads to another problem for drivers but could be a money-making opportunity for land owners. Off the main highways and byways, Magnolia Marine in Vicksburg has their own set of transportation challenges getting goods up and down the Mississippi River and other major tributaries. The challenges Roger Harris faces change with the weather. Harris explained that business is currently sluggish on the Mississippi River. Magnolia Marine has a 23-boat fleet that travels up and down the Mississippi River to and from refineries. Their tow boats and barges can be found across America in cities such as St. Paul, Houston, Pittsburgh, Kansas City, Cairo and Vicksburg. The seasonal business sees wintertime stock consisting of heating oils and thick type oils. Spring and fall is the time for asphalt and road type tars. Spring and summer is the season for gasoline and fuels. The employees are on for 30 days and off for 30 days. Magnolia Marine picks them up and gets them home. One challenge Harris faces is finding qualified crew members. There are schools that train but most of the training is on the job. Hinds Community College does offer training—a deckhand school that is a six-day schedule. In navigating the river, off loading to 18-wheelers is not generally an option if the Mighty Mississippi is difficult to navigate. The sheer bulk of product going up and down the river is massive. “When the river rises or falls we still load and discharge at the same terminals. Most terminals are built with the extreme highs and lows designed in. We normally push two to six barges with our tow boats. Just to put it in perspective, one barge holds 139 trucks worth of product. You say that times six and you’ve got an amount of products equal to 834 trucks. They carry a lot of product and carry a lot of product cheaply when compared to trucks or rail,” Harris said. Transporting good via roadways or waterways, each company faces challenges they need to overcome and keep America moving.